You can’t manufacture community or build unity; it’s something that comes with time, over 100 years in this case. Blood runs claret and blue over in the East End and the streets are deafened by the roar of over 35,000 voices, soon to be silenced. “112 Years” follows an event that will soon end, match day at Upton Park. 112 Years is an intimate documentation of a place and community brought together by one passion, soon to be altered indefinitely by London’s unstoppable redevelopment. When West Ham United move to the Queen Elizabeth Olympic Stadium in the summer, Upton Park will be demolished. An area of East London that is steeped in tradition will be quiet. From East Ham Working Mens’ Club, to the Boleyn Pub on the corner of Green Street, there is no telling the e ect the move will have. If one thing is certain, it is the sense of togetherness that has been forged over a century, the sadness of leaving and the optimism for the future. 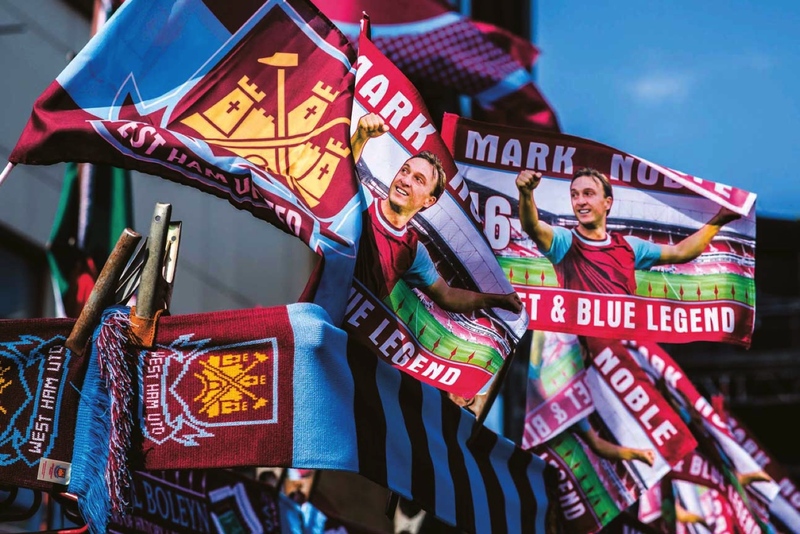 Uncertain times lay ahead of the fans of West Ham United, they have known good times and bad over the years, players and managers have come and have left. Through all this has been the ground, standing strong like the iron the club was founded on. This article has been published on Positive Magazine print edition n.2 If you want to purchase a copy you can do it from our on line store here. Next Article Rio + Football + beach.